KONG! 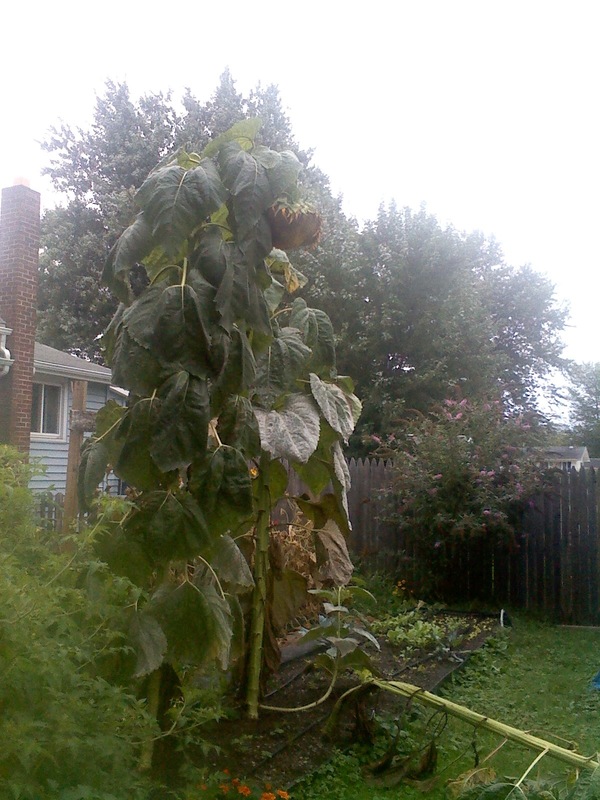 | EAT MY PLANTS! My friend’s garden has 2 amazing plants. 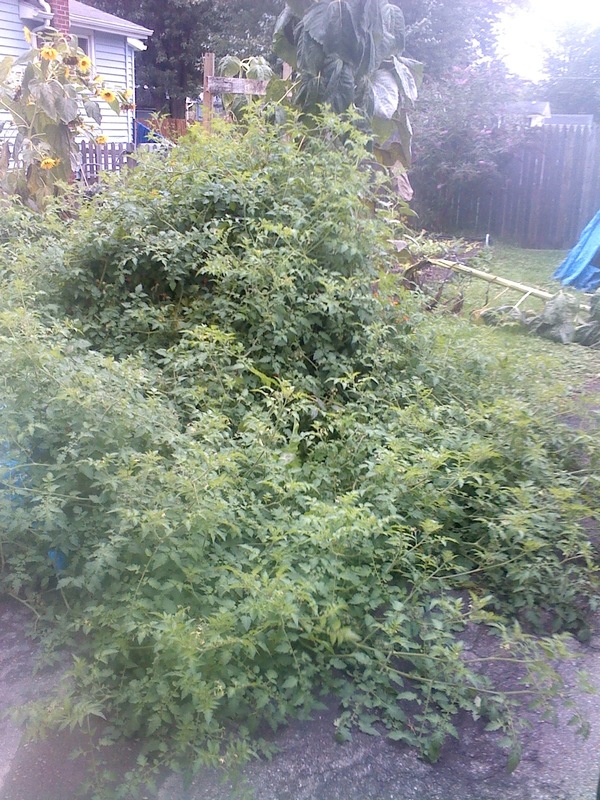 This is a Cherry Tomato plant that has gone absolutely nuts. There’s so much vegetation and so few Tomatoes. It’s really awesome to see how crazy this has gotten. 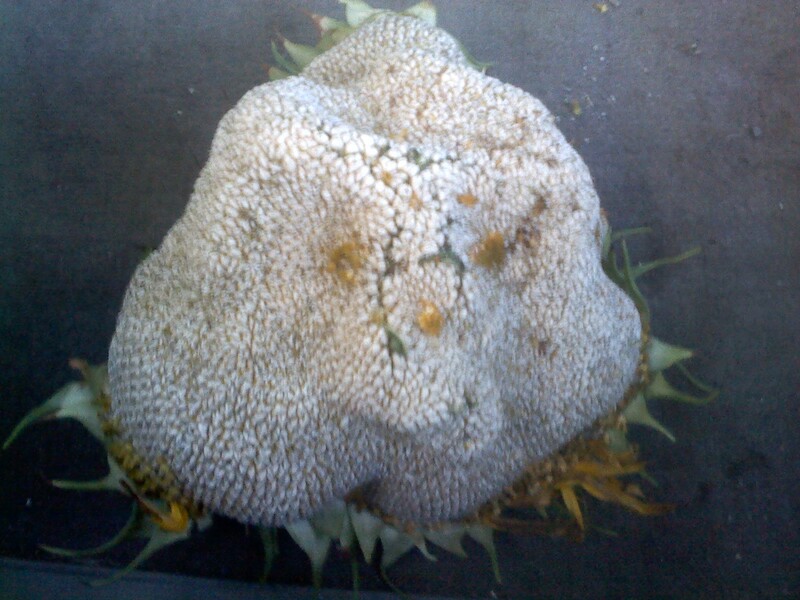 Then there’s this GIGANTIC Kong Sunflower. I hope the picture does it justice. It’s towering. I harvest the heads of a couple of them and brought them home to dry. These are great specimens to keep for next season. I wish my phone pic was better. Sorry. ← What is this bug?